In 12-inch nonstick skillet, heat oil over medium-high heat. Stir garlic into hot oil. Immediately add broccoli, bell pepper, onion and water. Cook 4 to 6 minutes, stirring constantly, until broccoli is crisp-tender and onion is beginning to brown. Stir in salt. Place in serving dish; top with cheese. 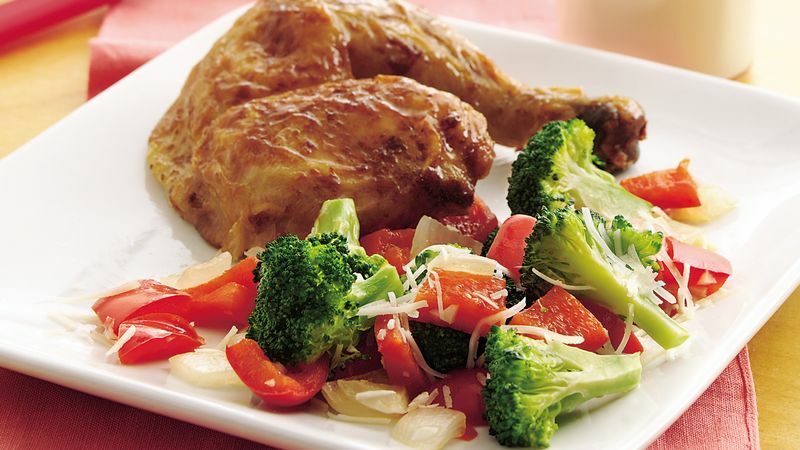 Serve over hot cooked fettuccine to accompany a meal of plain rotisserie chicken.